● HD Video of the views: Click here. ● FREE High-Res images of the views from the top to download. December 13, 2011. Work is completed. The Royal York Hotel is on the left of the picture. FOLLOWING the success of the last observation wheel which was based at the National Railway Museum from April 2006 to November 2008 Great City Attractions Global Ltd (GCAG) has teamed up with the Royal York Hotel, situated next to York Railway Station, to open a 53-metre wheel in its gardens. December 13, 2011: Construction work is completed, the wheel takes a test run. Click here to see full HD video of the views! From December 14, 2011 the new York observation wheel in the grounds of the Royal York Hotel (formerly the Station Hotel) is fully operational. Opening Times: 10am to 9pm, seven days a week. 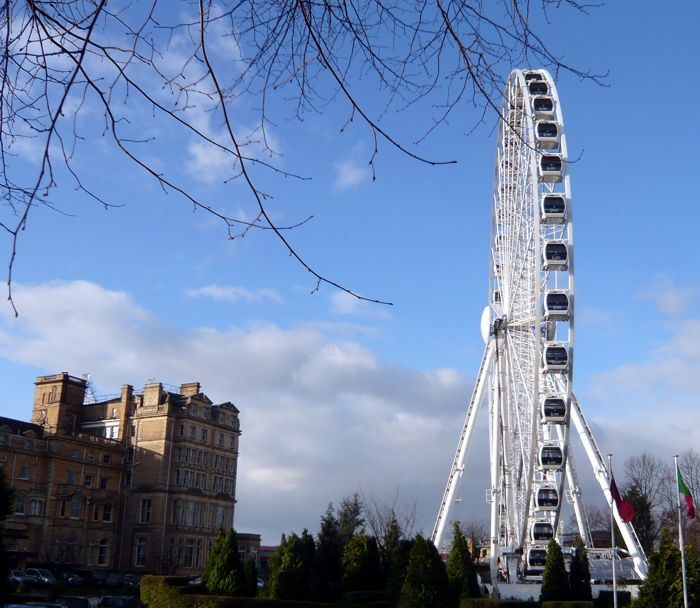 The wheel will be closed on Christmas Day, and will continue to operate until January 2013. Prices: A ride on the wheel costs �50 for adults, �50 for students and OAPs, �for children, or free for babies less than a year old. A family ticket, which covers two adults and two children costs �, and the VIP pod is �. I have a collection of free high-res .jpg images of the views from the top of the wheel available to download. They would make excellent desktop backgrounds, etc. To get yours, to send me a blank email, using your default email client. Please leave the "subject" unchanged. You will receive an email from Dropbox explaning how to download the pictures. Please allow up to 24 hours to receive your email.